Medieval coin. 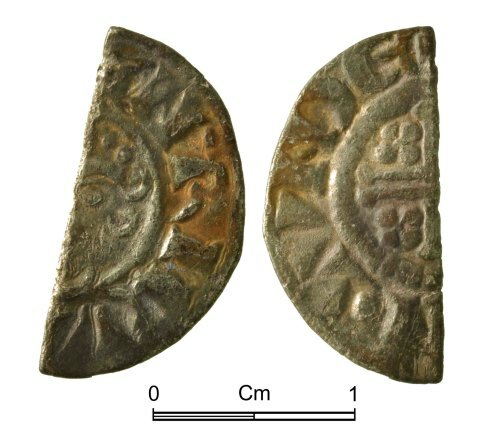 Hammered silver cut short cross halfpenny, 1180-1247, London mint. Diameter 18.68mm, width 9.42mm, weight 0.64g.